IVA · What is an IVA? Put simply, an IVA (short for Individual Voluntary Arrangement) is a formal insolvency solution that can help you deal with debts that you cannot afford to pay. It may be suitable for you if you are struggling to keep up with your monthly debt repayments. Because it is a legal arrangement, it must be negotiated with the help of a professional called an Insolvency Practitioner who will liase between you (the debtor) and the people you owe money to (the creditors). An IVA allows you to pay back what you can afford towards your debts. The remaining debt is only written off when you successfully complete your IVA. 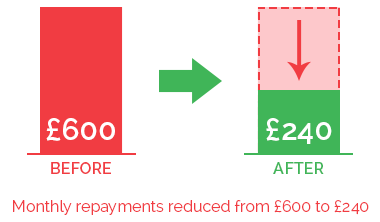 With the help of the Insolvency Practitioner you agree to pay off a percentage of your debt over a given period of time, by means of affordable repayments (normally over 60 months). The Insolvency Practitioner works out what you can afford to pay each month by analysing your income, expenses and your debts. They are responsible for setting up and negotiating your payments with your creditors. An IVA is a completely legally binding process governed by The Insolvency Act 1986. When your creditors agree to an IVA, both you and they are bound by the terms of the arrangement. Can I set up an IVA? Every Arrangement is unique. Your monthly payments are determined by things like your employment, income, expenditure, number of debts and your living situation. Your IVA will be successful if more than 75% (by debt value) of the creditors involved agree to the terms of the arrangement. Click here to read our IVA FAQ for more information. NOTE: We will only put forward a proposal if we believe it will be accepted by your creditors. We do not charge upfront fees for setting up your proposal, so in the unlikely event it is not accepted by creditors, you wont have to pay a single thing. Be wary of companies charging fees for your IVA proposal. You could end up paying £100's for a proposal that is not accepted. As with any formal insolvency solution there are both advantages and disadvantages. You must make sure to consider everything carefully before you enter into this kind of arrangement. We have detailed the main pros and cons below. An IVA consists of 1 easy affordable monthly payment which is distributed to your creditors on a pro rata basis. Any remaining debts are written off on completion of the IVA. You could be debt free in as little as 1 year if you can offer a lump sum payment. All interest and charges are frozen when your arrangement is accepted. Your credit rating is affected, but it will start to repair after your IVA is finished. We do not charge any upfront fees, saving you £100s. If your circumstances change, and your insolvency practitioner can’t get creditors to accept amended terms, your IVA is likely to fail. You will still owe your creditors the full amount of what you owed them at the start, less whatever has been paid to them under your IVA. STEP 1: When you contact us for debt advice, we will have a chat about your current financial situation, including an assessment of your income, outgoings and your debts. We will let you know all options available for addressing your debts. STEP 2: If you decide that you want to proceed with an IVA, our Insolvency Practitioners will begin working on your IVA proposal. We will only put forward a proposal if we think an IVA is the best solution for you and if the majority of your creditors will accept it. 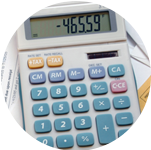 Your proposal will state your proposed plan of repayment to your creditors. The repayment structure is normally 60 monthly payments, but you could do a lump sum IVA depending on your circumstances. STEP 3: Once everything has been agreed with you, a copy of your proposal is sent to your creditors. We then gather their votes to accept or reject the proposal. If your IVA is approved, your payments can begin with your confirmation. It's as simple as that. We will remain with you at every stage throughout the process, should you need to contact us. All communication with your creditors can be done through us. NOTE: Anything we discuss is done so in total confidence and is with no obligation. 1: If you are struggling with debt repayments then don't wait. Do something about it as soon as possible and get in touch with one of our debt advisers at McCambridge Duffy. 2: If you don't think an IVA is right for you, then feel free to contact us for some free debt advice on what other options may be available for you; such as Bankruptcy or Debt Management. Having been in Business for well over 80 years, we are one of the UKs leading IVA Providers. We specialise in both personal and Business IVAs. We have a dedicated team of advisers and In-House Insolvency Practitioners who are well known for their exceptional Customer Service. Click here to see what some of our clients have to say on independent review site TrustPilot, about the service we provide. We have an amazing acceptance rate for IVAs proposed. We know any IVAs we propose will have a great chance of being accepted. We also fight very hard for every client to make sure their IVA proposal is carefully considered by the creditors. Our proposals will always be based on something that is affordable and because of this every IVA we propose will be unique. We have an excellent customer care team. We are a family run company and our advisors have all been with us for many years. They are highly trained and will be able to answer any question quickly and professionally. You will also find us very friendly. We get to work on your case immediately. We can have your IVA in place in 4 weeks. Unlike our competitors, we do not charge any upfront fees for the services we offer, saving you both money and time, which you need if you are opting for any of our debt solutions. 1: It is free to set up an IVA with McCambridge Duffy. We do not charge any upfront fees for drafting and submitting your Proposal. We only put a case forward if we believe it will be a successful one for both you and your creditors. If however, in the event that your IVA proposal is unsuccessful, then you will not be charged a penny. 2: IVA fees are determined by creditors (no matter which provider you use), so if your IVA application is successful, the only thing to worry about is whether you have chosen the right Insolvency Practitioner. 3: All IVA fees are taken out of your affordable monthly payment or from your agreed lump sum payment, so you will never be asked for additional fees or receive a bill from us. 4: We are the longest established IVA provider in the UK and have thousands of happy clients. We also have one of the highest success rates in the industry. 5: We have 4 full time highly regulated Insolvency Practitioners giving us a wealth of experience and knowledge (most other providers have just 1 or 2), so we have probably seen all possible circumstances. Call us now on 0800 043 3328 for some free and confidential IVA advice. Can I Do an IVA with no money?